From the left are Alison Griffiths and her sister Rhian Bishop, daughters of members Keith and Lynda Bishop, raising funds for The West Wales Prostate Cancer Support Group via btmydonate. 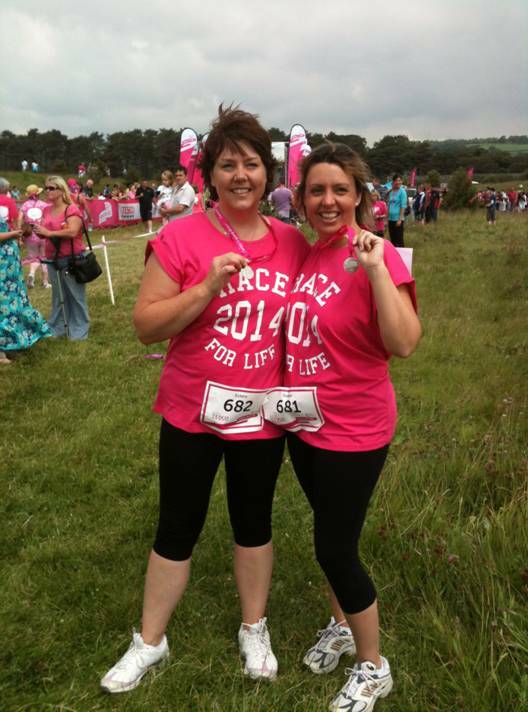 The girls took part in the Race for Life at Llanelli on 15 June 2014 raising in excess of £115.00. Thank you Alison and Rhian.